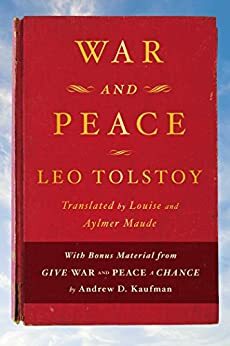 War and Peace is considered one of the world’s greatest works of fiction. It is regarded, along with Anna Karenina, as Tolstoy’s finest literary achievement. Epic in scale, War and Peace delineates in graphic detail events leading up to Napoleon’s invasion of Russia, and the impact of the Napoleonic era on Tsarist society, as seen through the eyes of five Russian aristocratic families.